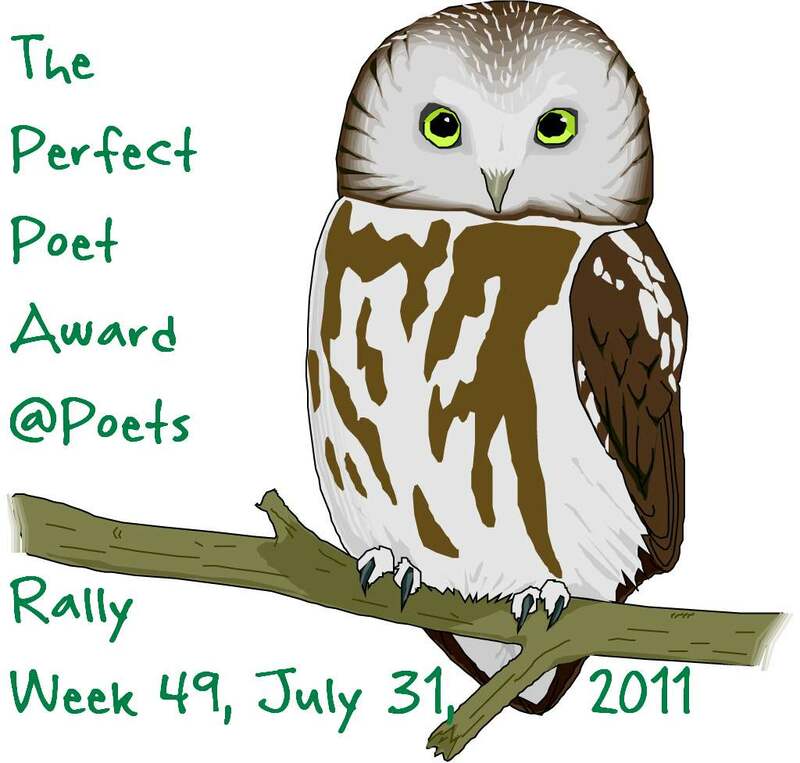 As you may have guessed, this is a page for my awards (mostly [exclusively] from thursday poets rally). Along with them are links to the post that got the award, the giver of the award and a nomination for the next one (if applicable). [Note I have not back tracked these awards, the first one starts on 21/04/2011, also even thought there is only one nomination it does not mean I have not made others). Also this will become a place for all the snippets of poetry that don’t deserve a post to themselves (being too short) so its not just me going “look at me I’m a great poet” because, frankly, I’m not. I find it funny that I was even able to get this seeing as its for the American national poetry month, and I’m English, but I’m not going to complain. Thanks goes to Jingle (http://promisingpoetscafe.wordpress.com/) for hosting the award, thanks to the 11 who vote for me, and congratulations to all the others who got the award. Till all it is dead. Hope you enjoy the poem, thank you for the support. Thanks once again, now for a short poem – Speechless am I. Hope you enjoy the poem, please feel free to comment. So the end shall be. 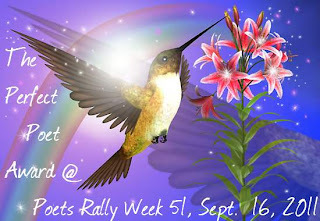 As ever and always thanks goes to the Tursday Poet’s Rally team for putting it on. I don’t have a clue what poem won it for me this time round, it seems a while since I was involved, but I’m not complaining. Go to http://promisingpoetsparkinglot.blogspot.com/ and get involved in a great community of poets. 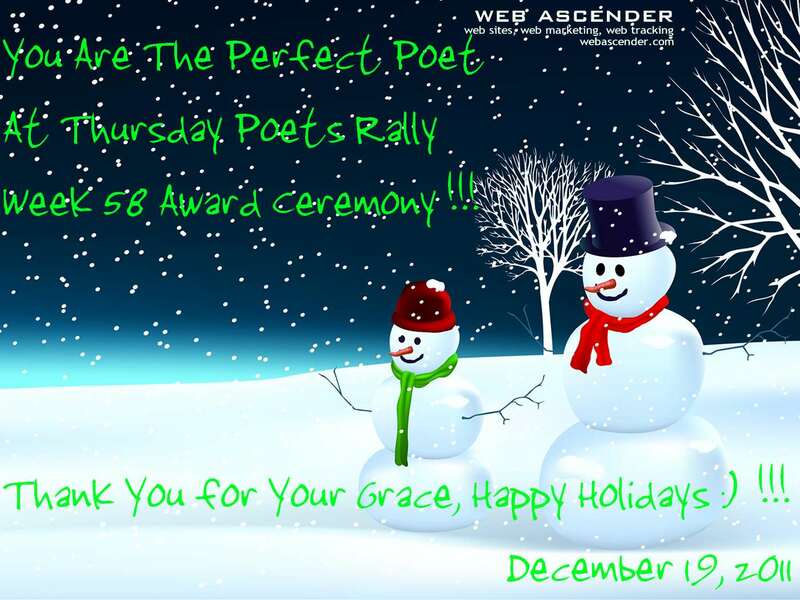 The Perfect poet Award week 58. That fight can’t be won. Thnk you, your words are much appreciated. Congrats on the Award ! Thank you Isabel, and congratualtions to you too. Thank you WyomingDiva, and the same to you. 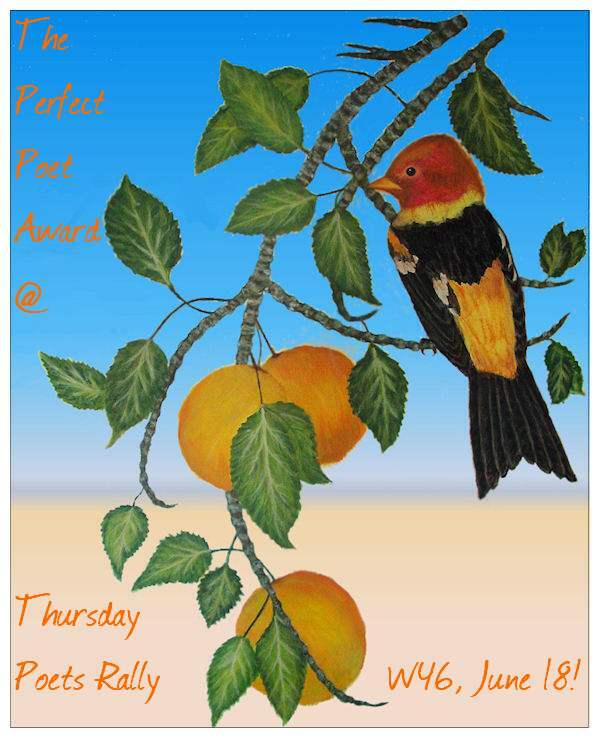 Thanks…come to poetry potluck if you can, appreciate your input. Thanks Jingle. I think I’ll give it a miss this time, maybe next. do you have a nomination for week 47? Thank you, the nomination is in the post. Thank you very much Andy. Thanks for running the rally.